I’m an old bitcoin and altcoin guy. I specialize in crypto-compliance, consulting and all around shitcoinery. Why do you make Rare Pepe cards? 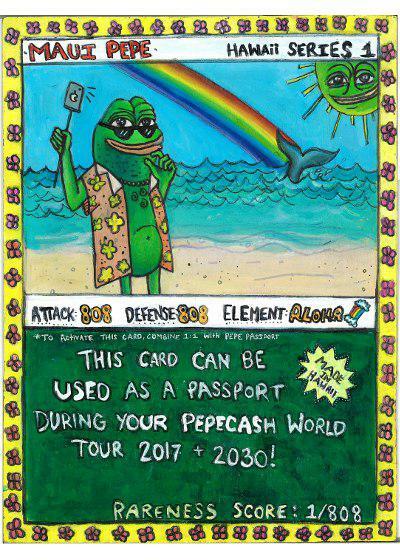 I love the fact that something as dank as pepe can be made into trading cards registered on a blockchain. How do you approach making Rare Pepe cards? I want to included things about the ecosystem that inspired the card. 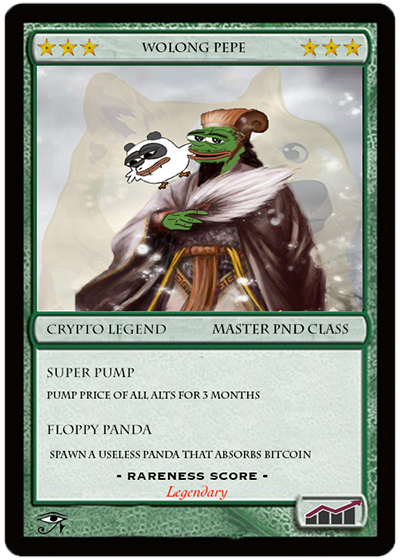 My personal favourite it Wolong Pepe, but only old altcoin traders will get the references on the card. I find things I want to include, and throw it together in photoshop. Some take a couple minutes, some take a few hours. What’s your inspiration for getting involved with Rare Pepe? I thought the underlying technology was cool, XCP. I also found it interesting as a way to share art registered on a blockchain. What role does the Rare Pepe phenomena have in society? What art do you most identify with? Does it influence your Pepes? I can’t really say I identify with a certain kind of art. Art is also a subjective term. So it may or may not influence my Pepes , I guess it depends on what art I would most identify with unknowingly. What themes do you pursue with your Rare Pepe creations? Altcoin community based theme, things like mods from poloniex, or tux exchange or Wolong. What is your favorite Rare Pepe you have created and why? WolongPepe for the references within it and the memories it brings back. I also really like the splinterpepe rat I made on the tux card. I also like the Thoth pepe one. I guess I don’t have on favourite haha. What is your favorite Rare Pepe someone else created and why? It is hard to narrow it down to just 1. I would have to say, I like any of them that have original art. Where the creator put time int making it and not just copy/pasting a pepe face onto the card. I always laugh when I look at Jalapepe though haha. If you could be any Rare Pepe character, which one would you be and why? The guy from PEPECowbell, because you can always use more cowbell. What is your chief purpose or goal from creating Rare Pepe Cards? Making fun cards and collecting payment while doing it. Plus you get to spread the pepelove. What other artistic endeavours do you enjoy? I troll people on reddit photoshop requests. I also enjoy colouring and repairing old black and white photos. If you have a dream for the future of Rare Pepe, what would it be? That all the non-original art pepes be delisted and filled with good ones. Also, that is reaches every corner of the globe to spread the previously mentioned pepelove. What do you think of putting a 500 card cap on Rare Pepes? I don’t like it. There should be 1000000000000000000000 rarepepes. Good ones will have to innovate to stand out of the crowd. Do you sell your cards for XCP, PEPECASH, or both? Do you take commissions for designing Rare Pepe’s for others? Yes, I have designed most of my cards for others. 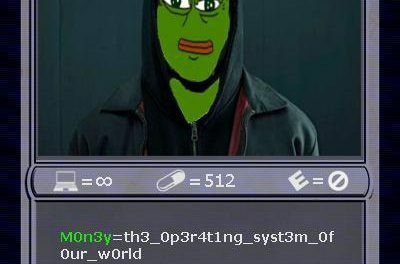 What message would you like to share with the Rare Pepe community in closing? Appreciate the original art rarepepes. Be good to each other and keep your stick on the ice. REEEEEEEEEEEEEEEEEEEEE!